Happy New Year from the Great White [Frozen] North! Great shot! 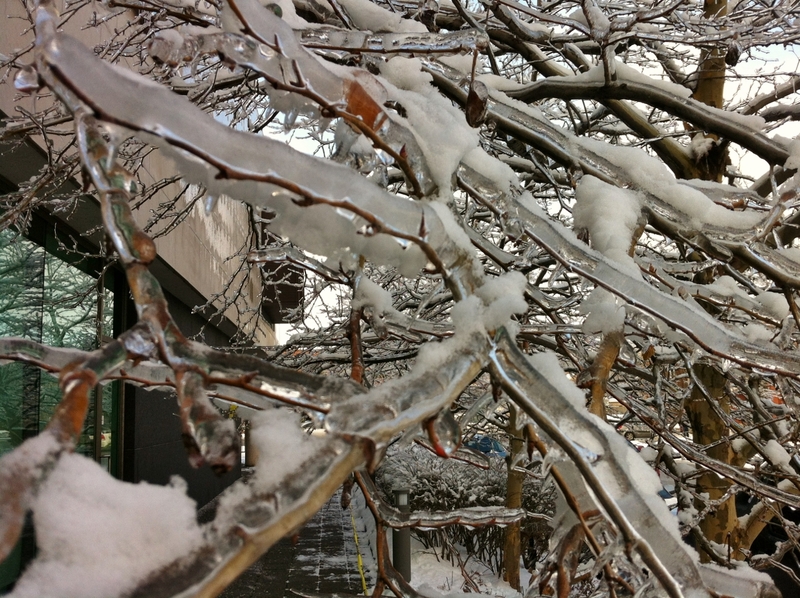 That’s some really significant ice on those branches. Most of it came a few days before Christmas. This shot was taken between Christmas and New Year. Tree damage has been significant. In bed at night, you could hear limbs crashing to the ground. I weep for the trees. Mama Weather, she’s a warrior.